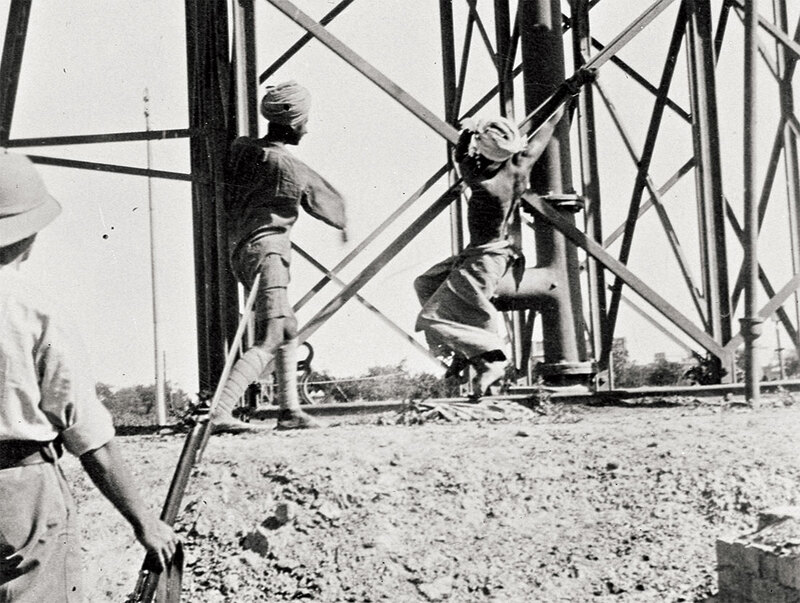 A century on, it’s hard to say something entirely original about the Amritsar massacre. Kim Wagner pulls together the tragedy’s various threads and presents all the evidence, even that which counters his own ideological preference for seeing the massacre as symptomatic of British oppression, rather than as an exceptional event. Wagner is not squeamish about describing anti-European rioting in the Punjab and elsewhere during the days leading up to Amritsar. Although Gandhi had issued a call for satyagraha, non-violent resistance, his request was not heeded. A poster on the clock tower next to the Golden Temple in Amritsar called on the people to be prepared to ‘die and kill’. There are graphic descriptions of Indian crowds pelting security forces with brickbats. The British found themselves fending off attempts to rush the Civil Lines where most of them lived. Wagner doesn’t shrink from detailing how three British bank clerks and two railwaymen were bludgeoned to death by the mob, while one Miss Sherwood, a missionary schoolteacher, was knocked off her bike, beaten and left for dead. General Reginald Dyer, later dubbed ‘the Butcher of Amritsar’, was incensed by all this, most of all by the sight of Sherwood, hovering between life and death, and by the dormitories of British women and children herded into the old fort. Dyer was a loner, with a chip on his shoulder, though he was popular with his Indian troops. It is a shock to hear that he was felicitated by the Sikh priests of the Golden Temple just days after he had ordered the massacre next door. The question remains whether Dyer overreacted on the spur of the moment or executed a premeditated plan. Wagner is rightly sceptical about premeditation on either the colonial or nationalist side. The latter, he argues, gathered mostly ignorant of Dyer’s ban on public meetings. Dyer, unfamiliar with the city and the layout of the Bagh and its tiny exits, may have seen the meeting as a direct challenge. The horrific result was six to ten minutes of incessant firing directly at a crowd of several thousands, resulting in Wagner’s estimate of 500 to 700 dead and many more wounded. This book explodes nationalist myths around the event. There were hardly any women and few Muslims present (one sixth of the crowd), despite Amritsar then being a Muslim-majority city. No machine guns were used and the 50-strong firing squad was made up of Gurkhas, Baluchis, Pathans and Sikhs, but no whites. Wagner is convinced that memories of the Mutiny of 1857 shaped the British response in 1919 and he accuses the Raj of paranoia and ‘racialised violence’. But he pays scant attention to the good intentions of people like Edwin Montagu, Secretary of State for India in Britain’s then Liberal government, who introduced constitutional reforms designed to take a federal India to responsible government, as in Australia and Canada. Instead, we are told the reforms were designed to perpetuate British power. Contrary to Wagner’s assertions of inherent colonial violence, his book supplies plentiful evidence of widespread British revulsion at Dyer’s massacre. The most dramatic examples come from the House of Commons, where it was condemned as ‘un-British’ by none other than Dyer’s boss, Winston Churchill, then Secretary for War. Wagner describes how the debate divided not only Parliament but the British press and public. Dyer was ejected from the army but received a handsome public purse from admirers who saw him as the saviour of the Empire. In India, Gandhi called off his civil disobedience, calling it a ‘Himalayan miscalculation’. The government set up the Hunter judicial enquiry, with three Indian members who submitted a minority report roundly condemning Dyer’s ‘inhuman and un-British’ methods. What Wagner does not tell us is that military rules for treating civilians were drastically overhauled to make another Amritsar impossible, so much so that British troops were reluctant to fire even when rioters were killing each other during the partition riots of 1947. Anita Anand’s biography makes an intriguing footnote, focusing on the man who killed Sir Michael O’Dwyer, the retired Lieutenant-Governor of Punjab, widely blamed for egging on Dyer and endorsing the massacre. Anand rightly questions the nationalist myths around his assassin, Udham Singh: not least whether he was actually present at the Amritsar massacre and why nationalist leaders in India like Gandhi and Nehru disowned him. Even more intriguing might be a biography of his victim, O’Dwyer, the Irish Catholic child of a large family in Tipperary, who became Britain’s arch-imperialist in India. Zareer Masani’s Amritsar 1919: A British Massacre aired on BBC Radio 4 in April.